Give your partners the tools to sell smarter. 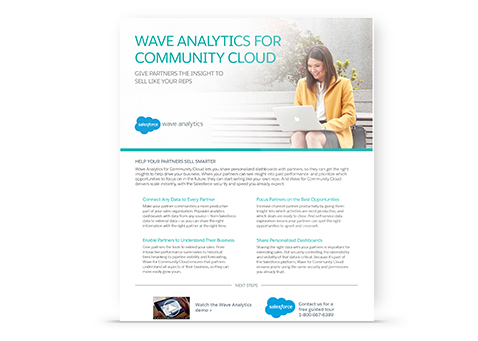 Wave Analytics for Community Cloud lets you share personalised dashboards with partners, so they can see past performance and understand which opportunities to prioritise. Give your partners the tools to expand your business, and watch them start selling like your own reps.